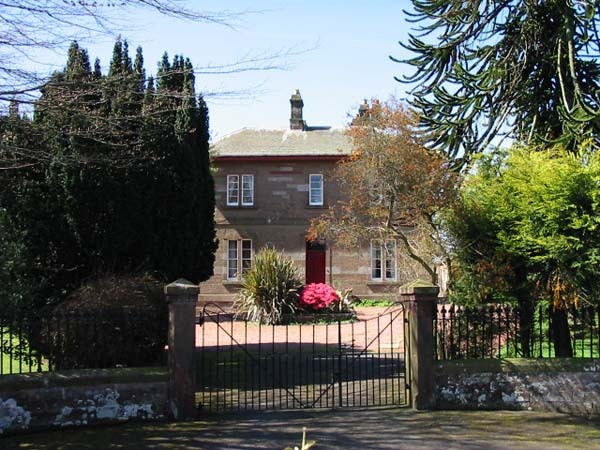 Welcome to Kirkpatrick House, situated at the Gateway to Scotland. This beautiful Georgian house with it's characterful historic features is ideal for a relaxing break. Situated on the outskirts of Kirkpatrick Fleming, we are only 3 miles from Gretna Green, 2 minutes from Junction 21 of the M74, and closest B&B to The Mill Forge wedding centre. The house is set in its own private mature gardens with secure parking within the grounds and has wonderful views of the Solway Coast and Lake District mountains. Our Four Poster Suite, with its unique Arabian style bathroom, is ideal for that romantic weekend away. If you are touring the area or just passing through we can offer you a comfortable stay.